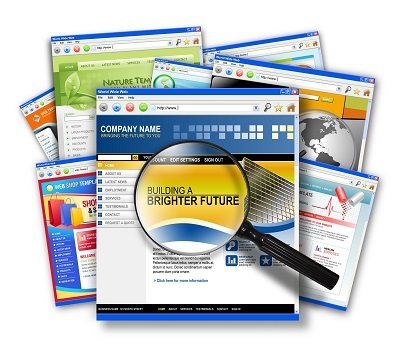 Do you want more people to find your website in the search engines and buy your products and services? Then you need to focus on improving your SEO. Milton Keynes businesses do not have to wait around – you can hire me and I will immediately set to work on improving your SEO. As an SEO consultant who has been optimising websites for two decades, I can help you to start ranking for your main keywords in no time at all. SEO takes time and effort, but you can often start to see results very soon after you hire my services. I have been providing SEO services to clients in Milton Keynes and other parts of the UK for years, and my process is proven to get results. Working with you, I will develop a long list of keywords that we can target rather than only choosing one or two to work with. We can then work with this list and add to it over time so that you can enjoy ranking for even more keywords. Ever since the beginning of the internet, I have been addicted to SEO. Milton Keynes businesses hire me for my knowledge, experience and enthusiasm. Every new client is a new challenge for me and I love to help them start ranking. I've seen the change in SEO over the years to become what it is today, and I will be there as it continues to change. I constantly adjust my tactics to ensure they are still effective no matter what changes occur in the SEO landscape. My process gets excellent results for my clients no matter what industry they are in, and you will never have to worry about a Google algorithm update destroying all your hard work when you hire me. I use a lot of automation wherever possible in my SEO optimisation process. The reason for this is because many simple and repetitive tasks can be automated to save a lot of time, and as a result I can lower my prices for my clients. You can also choose from a selection of SEO packs when you hire me. Simply choose a pack that is right for the level of SEO you need, and it's as simple as that. In addition, you don't have to sign up to any long-term contract with me. You can hire me for as long as you like, but there is never any obligation to continue to use my services. My SEO Milton Keynes service is popular with clients not only because it gets results, but also because it allows them to save money. With me, you will start to see your website rank for your chosen keywords without having to pay the high rates charged by agencies. If you want to find out more about the type of detail I go into with your SEO, you can book your free SEO review pack from me. Contained inside will be a large amount of actionable data that you can use immediately. There is no obligation to hire me afterwards, so get yours today. If you want to know more about my SEO Milton Keynes service, get in touch today for a free consultation. I'd love to help you start improving your SEO and attracting more traffic to your website, so let's get going today. © Copyright 2015. Milton Keynes SEO Services. All Right Reserved.